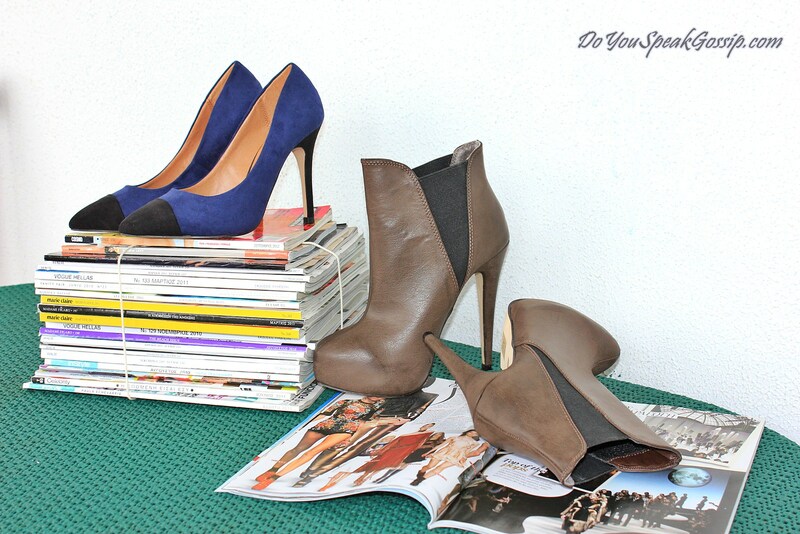 “Timeless” pumps and booties via spartoo.gr - Do You Speak Gossip?Do You Speak Gossip? Hello my dear readers! How is everyone? My week started in a very bad way, and I’m predicting it will continue the same way. I always like to share some of my personal things with you, so let me explain…At Monday morning, my mom called me to go get her, because she fell and hurt herself. Turns out, it was worse than I initially thought, and I had to take her to the hospital for x-rays. The verdict? A broken shoulder bone (I think she broke the head part), which needs to be operated, but the doctors decided not to let her go through this procedure…Instead they’re gonna wait for a week until they examine her again, to determine if they’re going to do the surgery. During this week, she’s going to be in terrible pain, with nothing more than pain killers, which leaves her unable to do anything at all! During this week, I’ll have to take care of both my mom, and my grandma (who had a surgery on her leg about a year ago, if you remember), while doing all house works and errands myself. It’s gonna be a hectic week, but here’s hoping everything turns out ok, in the end. So sorry to bother you with my bad news, but really needed to share it with someone, and this blog is partly my diary. In other news, returning to the fashion part of this blog, last Thursday I received the package I was waiting for. In it, there were 3 (!) boxes of shoes, 2 for me and 1 for T.
As I told you on my previous wishlist, there were some pairs that I didn’t include, for fear of losing my size in them. hehe So here they are, ordered and received. They are both from the brand Timeless, which has some very cute and quite affordable pairs. My first choice was a pair of blue pumps with black toe caps (one of the latest huge trends) and heels, which I really loved. By the time they arrived, this particular design was sold out in every size on spartoo.gr, which proves that I wasn’t irrational in my decision to keep them for myself, until I actually ordered them. hehe sorry ladies! My second choice was a pair of brown booties with black sides. They have a 14cm heel with a 4cm platform. The blue ones have a 10cm heel and no platform, but they are really comfortable, and I’m guessing, they’d be even better with tights during fall. Expect to see them on my feet really soon. I hope you’re having a great week… Please stay tuned for my next posts about Vancouver Fashion week! You have a beautiful name. We have it here in Greece too. I’m glad that you don’t dislike brown that much lately! Who knows! 🙂 You’re right. Αχ κρίμα για τη μαμά σου, εύχομαι να περάσει όσο το δυνατόν ανώδυνα αυτό το ατύχημα και φυσικά περαστικά της! I think the doctors want to avoid a surgery, because a surgery can be even more painful than the way she is feeling now… I hope she feels good soon and without surgery, but if she needs it, anyway that everything is for her to feel better soon! I’m sure you’ll have a hectic week, but I’m also sure you will do everything in a brilliant way! As for the shoes, they are lovely! I really want to see you wearing them! They are just like you, beautiful and elegant! And yes, we show love through gifts too! I’m sure T. loved the sneakers! I’m really feeling for you and please send greetings to your mom, say I will send psitive vibes to her – and to you too, of course! I think that’s exactly their thoughts on the subject. They told me that they prefer to operate, but they think it would be better to treat her conservatively. We’ll see in a week, if something changes. Thank you so much for your comments, and your sweet wishes, both here and your emails. You make me feel so good. T. loved the sneakers, and I think he didn’t expect them when I brought them to him (even though he knew that I wanted to buy him a pair, but wasn’t sure about the model). I’ve already bought him 3 pairs of shoes this year, and I’m hoping to see him wearing them now that his army duty is coming to an end, and he can wear whatever he likes. Very cute! I really love that blue color! 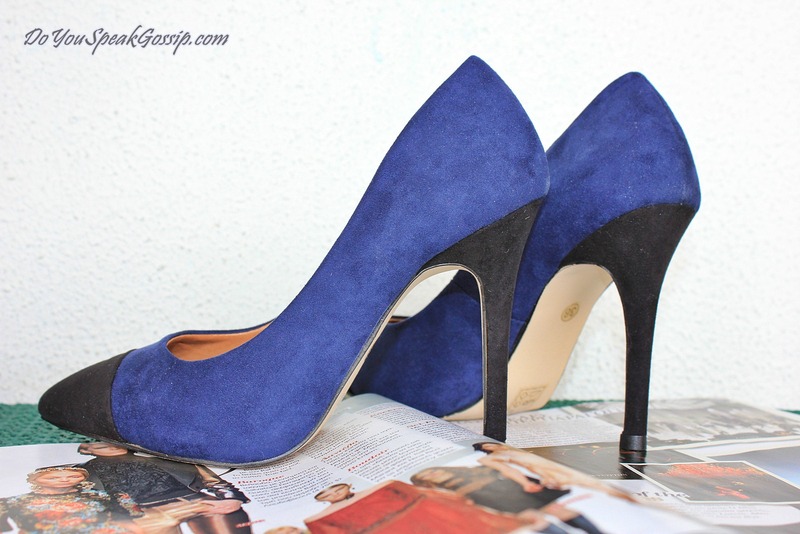 I’m made about the electric blue heels! So beautiful! Great purchase my dear! Maria recently posted..Most worn summer things tag!!! S’euxaristw poli glikia mou Maria! Na’sai kala! I alitheia einai oti den poliforaw kafe to xeimwna alla tha doume an auto tha allaxei fetos. Oh no, your poor mom: what an awful thing to happen. I really hope she’s feeling better soon, and that the pain isn’t too bad over the next week – sending lots of good wishes, anyway! 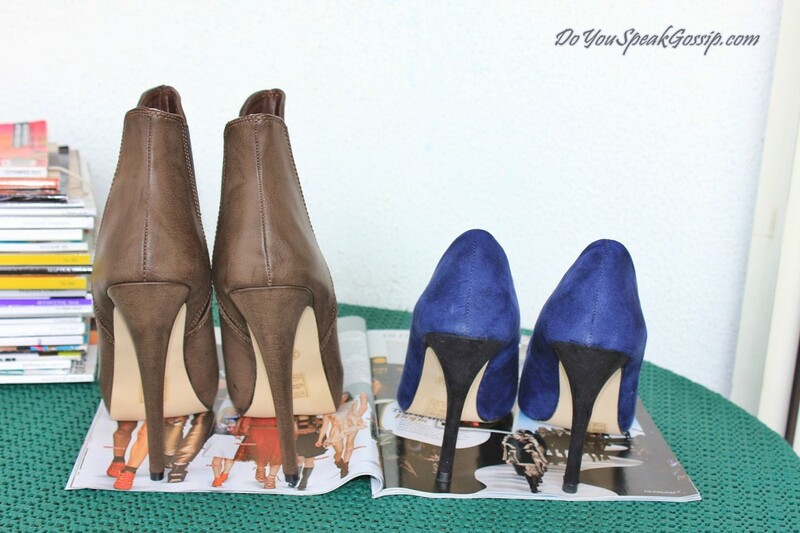 I also love the two shoe choices, especially the boots: what a gorgeous shape! Thank you so much for your wishes Amber! I really hope she feels better soon! 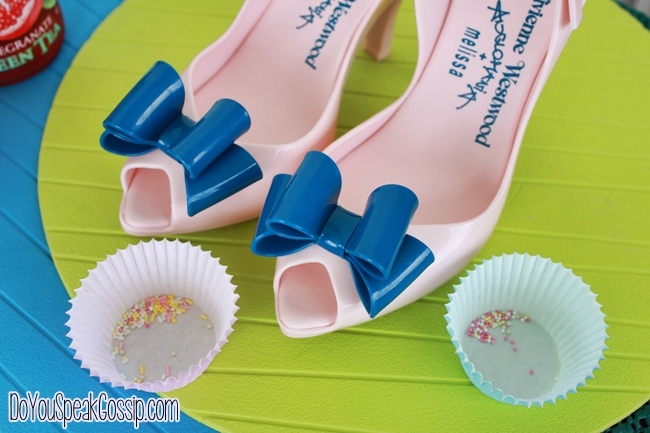 the blue pumps are pretty! i would like to have one of those capped-toe pairs as well. you always get great shoes from this place! sorry for the added duties you will have in the next few weeks, but hope everyone is ok…make sure to take a little time for yourself when you can. oomph. recently posted..jelly of a time. Thank you very much! I do take time for myself, but I also have some things on my duties that I didn’t have before. I’m sure I’ll be all right. The blue toecaps are my favorite from the 2 too. Spartoo.gr has many lovely shoes, because they have a large variety of brands. More than 600. However, I’m afraid that it’s a mostly European site. Thank you so much for the get well wishes for my mom. Oh sorry to hear that, it must have been equally painful. I’m sure we’ll be all right really soon. The most important thing is for the pain to pass. I hate to see her like this. Yes, made in China shoes, are not very high on my list, I usually avoid them, but these were too cute and cheap to resist. I’m sure I’ll get a lot of use from them, until they get ruined. Apsoga kai pragmatika diaxronika! You have an excellent taste in shoes!!! Φιλάκια και όλα εύχομαι να πάνε καλά! S’euxaristw para poli gia tis euxes sou Xrisa mou! Kai egw elpizw na glitwsei tin egxeirisi, an kai protimw oti einai kalitero gi’autin, arkei na min ponaei oso twra…. That’s just awful 🙁 Sending our best wishes to your Mom for a speedy recovery, and wishing you lots of luck this week ahead! 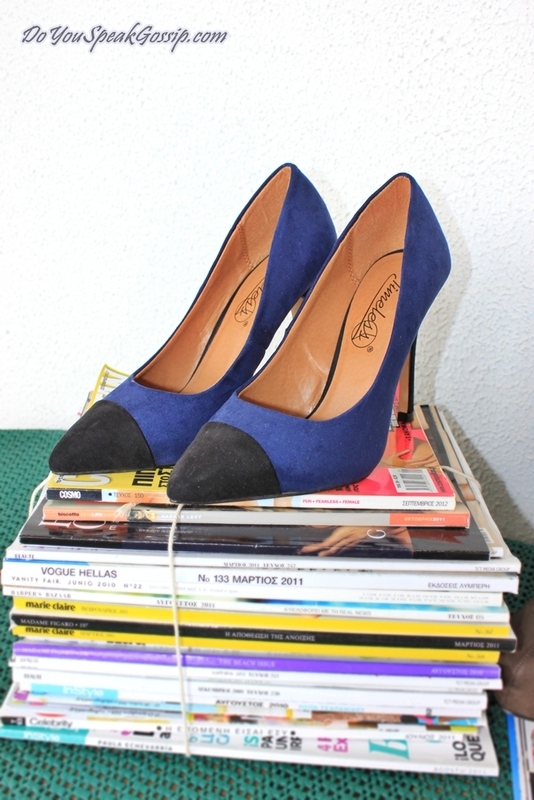 Those blue pumps are indeed gorgeous and classic, but yet trendy pair. Booties seems to look good as well.I’m sure you have already many great look ideas incorporated these lovely purchases. Λυπάμαι πάρα πολύ που διαβάζω ότι χτύπησε η μητέρα σου! Ελπίζω να αισθάνεται καλύτερα και να καταφέρει να αποφύγει το χειρουργείο. Φαντάζομαι ότι αυτή τη βδομάδα θα έχεις κουραστεί πολύ τόσο σωματικά από όλες τις δουλειές που έπεσαν επάνω σου, όσο και ψυχολογικά. Καλή δύναμη επειδή η μανούλα σε χρειάζεται και έτσι λίγη κόπωση παραπάνω δεν πειράζει. Είμαι σίγουρη πάντως πως αυτά τα δύο ζευγάρια φώτισαν λίγο τη μέρα σου! Είναι πανέμορφα! Με γεια σου Μ μου! S’euxaristw kai pali para poli! Filia polla! Thank you all so much for your comments and your get-well wishes for my mom! I hope she has a fast recovery from her fall. Βλέπω παίρνεις συχνά από αυτό το site, είναι καλά τα παπούτσια του?? Nai pairnw sixna, giati exoume sinergasia…To spartoo einai galliki etaireia, pou exei “ipokatastima” kai stin Ellada, to spartoo.gr. Exei panw apo 630 markes (kiriws papoutsia & tsantes), apo poli gnwstes ews ligotero gnwstes etaireies…Ta perissotera pou exw parei einai para poli kala poiotika kai kaliteres times apo tin agora, ta sigekrimena dio itane ta pio fthina pou agorasa (opws lew kai sto post 35 kai 53 eurw antistoixa) kai opws katalavaineis i poiotita einai antistoixi tis timis kai eidika enos priontos made in china…Par’ola auta, gia tin timi tous einai poli kala kai eimai sigouri oti tha ta kratisw xronia! To katastima pantws exei poli kalo service kai dinei panta kouponia ekptwsewn se kathe eukairia! Ama se endiaferei mporw na se kanw kai invite. Pingback: Black minimalism | Outfit post | Do You Speak Gossip? Pingback: Casual attire for a morning coffee date | Outfit | Do You Speak Gossip? Pingback: January’s Wishlist | Do You Speak Gossip? Pingback: Make a statement with plaid | Outfits | Do You Speak Gossip? Pingback: New in | Dune Alesha contrasting toe cap pumps | Do You Speak Gossip?